Ten years younger than George Vanderbilt, Edith Stuyvesant Dresser was descended from influential New York families. The two shared a love of learning and travel. On the decks of ships, in shared opera boxes, in the artist studios and bookshops of the Parisian boulevards, their romance blossomed. In June 1897, George rented an apartment on London’s Pall Mall for the celebration surrounding Queen Victoria’s 60-year reign. London marked the occasion with a royal procession that wound its way around both sides of the River Thames. George and his guests viewed the event from their balcony above the splendid parade. Among the group was Edith, his future bride. While reporters speculated that this was when the couple first became acquainted, it’s more likely the pair met through match-making family members as Edith was friends with some of George’s sisters and several of his nieces. In December of 1897, George Vanderbilt boarded the ocean liner SS St. Paul and began the adventure of his lifetime. Bound for England, Egypt, and India, the 35-year-old bachelor set sail with his friend William B. Osgood Field. Also on board was Edith Stuyvesant Dresser, accompanied by her chaperone. George, Edith, and Willie spent time together on board, reading books aloud to each other and playing cards. Smitten he was, for just six months later, after a whirlwind courtship abroad, George and Edith were married in Paris in a 15-minute civil ceremony on June 1, 1898. 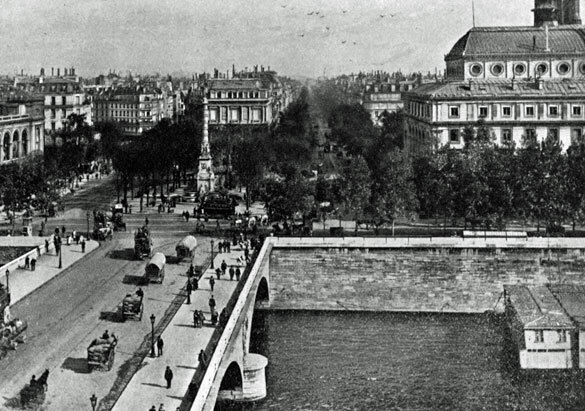 The wedding was presided over by the mayor of Paris at the Town Hall of the Eighth District in the Rue Anjou. An understated religious ceremony was held the following day at the American Church of the Holy Trinity, attended only by family and close friends. 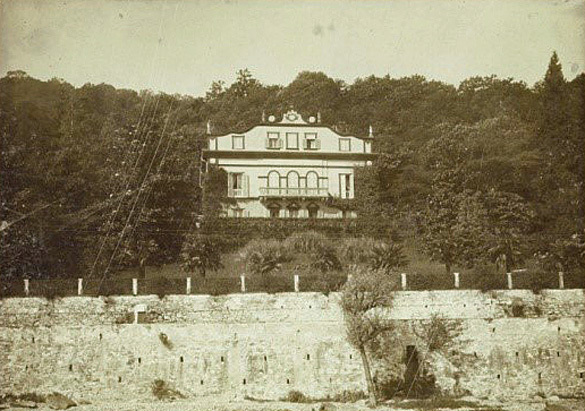 Following their Parisian wedding, the Vanderbilts stayed near Stresa in the Lake District of Italy for the much of the summer. A peaceful villa served as the couple’s home base as they explored the area’s spectacular Alpine scenery and took short trips to visit some of Europe’s finest museums and galleries. 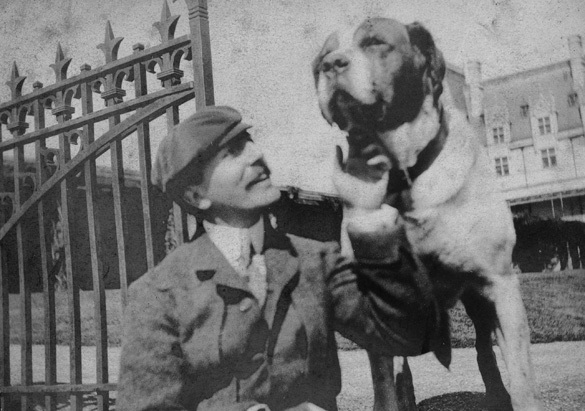 It wasn’t until after their transatlantic courtship, their Parisian wedding, and their Italian honeymoon that Edith first saw Biltmore, her new home. 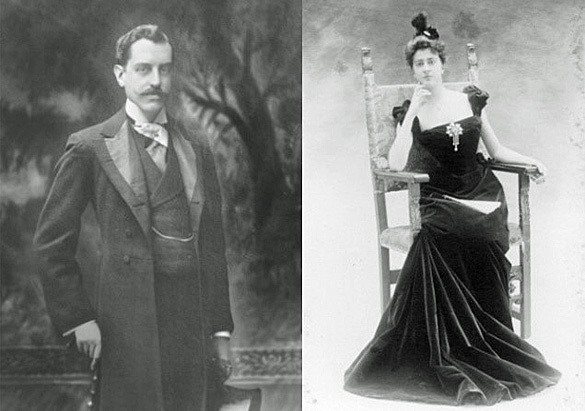 Learn more about George and Edith Vanderbilt’s travels with our two upcoming exhibitions: Glamour on Board: Fashion from Titanic the Movie, on display in Biltmore House from February 9–May 13, and The Vanderbilts at Home & Abroad, opening March 15 in The Biltmore Legacy. *William B. Osgood Field Papers, Manuscripts and Archives Division. New York Public Library. Astor, Lenox, and Tilden Foundations. Judy saw this post on FB, while standing on line to see the Titanic Museum on TN. How appropriate.